SIP Trunks provide a modern, cost-effective and robust connectivity solution. If you’re not ready to make the move to a fully hosted telephony solution, then SIP Trunking might a perfect, low-cost alternative for you. SIP Trunking provides a next generation connection between your existing switchboard (PABX) and our core platform, using a data circuit to replace your existing phone lines. SIP technology provides a modern, robust connectivity solution, so there is no need to compromise on quality when you make the change from ISDN to SIP. Our next generation quality is reliable, resilient and can be cheaper to buy and use. 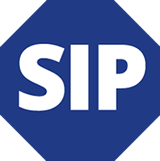 In simple terms, a SIP Trunk is a next-generation phone line that works over a broadband connection. It is designed to replace the outgoing ISDN lines. What type of business are SIP Trunks aimed at? If your business makes phone calls from a landline, SIP Trunks could be for you. Using SIP Lines onto a new or existing telephone system*. It is seamless and works behind the scenes. Using a Hosted System, which means no telephone system is needed. 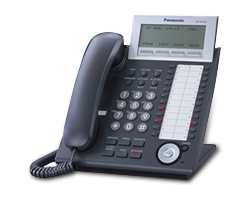 SIP Handsets are supplied and work over Cat5 cables within your office, via a data switch and your broadband router. Cost is generally relative to the requirements of the business or the individual. We quote based on the needs of your business. What else do I need to start benefitting from SIP Trunks? For SIP Lines, you will need a dedicated fibre broadband connection, a PSTN/Copper Telephone Line, and a compatible telephone system. Could your business cope without a phone connection for several days? Our SIP Trunks can be configured to automatically route calls to an alternative number in the event of a service disruption. SIP technology provides a modern, robust connectivity solution. 5,000 FREE minutes per line, per month to local, national and mobile numbers. Massive savings when compared with traditional lines and calls charges.